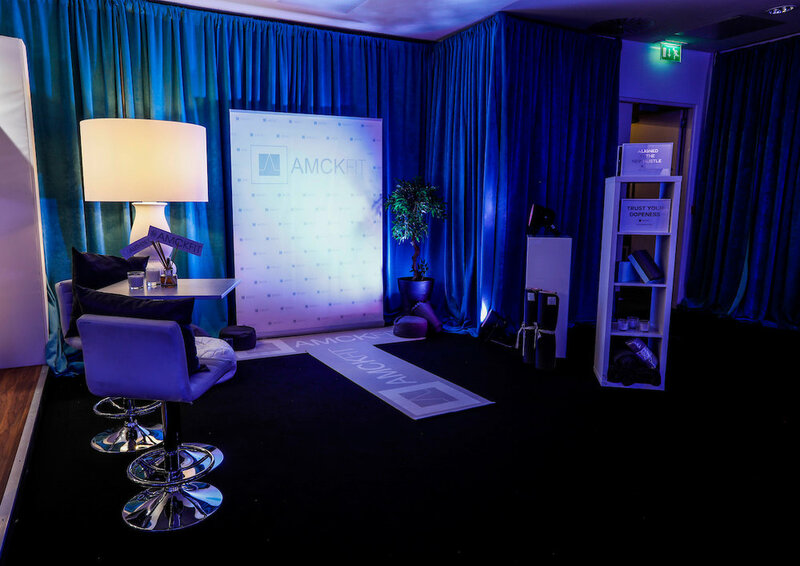 #AuthenticallyFit by AMCK FIT is a fitness and wellness service that caters exclusively to the fashion and entertainment industries. Founded by Aicha McKenzie, a former British champion gymnast, choreographer, creative director and leading model agent, together with a team of experts, we provide a series of classes and workshops of bespoke yoga, dance, meditation, breathing sessions to artists, supporting performers, crew and personnel. #AuthenticallyFit is a concept grounded in the need to BE fit not just LOOK fit, creating a daily practice that allows you time to connect with yourself. We encompass every part of you, from your mental and physical wellbeing, what you eat, how you sleep and how your body works for you in your daily life. Your fitness is as unique as your identity and it’s important that your goals reflect that. One size does not fit all and why should you? From our global network of AMCK talent we have built our TRIBE of expert AMCK coaches and wellness experts, including consulting doctors, breathing specialists and nutritionists. With their direct industry experience, our coaches have an understanding of on-set etiquette and professional trust when working with clients. Following a consultation we provide the perfect #AuthenticallyFit program for you, your location and demographic. The ultimate dance sessions, learn routines straight from stage to studio with the world's leading professional dancers and choreographers. Release your inner diva and leave feeling empowered. Move organically. Open up your mind and body with an energising Yoga flow, infused with elements of Strala. A hybrid of Yoga and conditioning exercises to encourage the strength and flexibility needed to move through life with grace. Moving through powerful breath techniques to improve your performance and expand your consciousness. A gentle meditation with energy cleansing benefits. Low impact, mat-based class designed to ignite your core, support your body and align posture for day to day life. Get your blood pumping with a head to toe workout, focusing on cardio and interval training to build functional strength. We bring the service directly to you, instead of working from a fixed studio, whether that’s on set, backstage at award shows, in the boardroom or at the office. With first-hand knowledge of the pressures, tight deadlines and limited time for self-care in the fashion and entertainment industries, our #AuthenticallyFit sessions are designed to be done anytime, anywhere, so you can look after your health and de-stress at work and on-the-go. 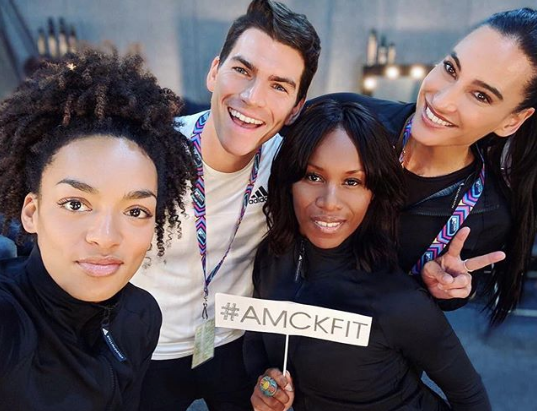 Since the press launch at The Curtain members club in June 2017, our concept of bringing wellness to the workspace has seen AMCK FIT training the stars and performers on site at the MTV European Music Awards, in the artist spa backstage at The BRIT Awards; scheduling sessions directly to dressing rooms, delivering private sessions to the publisher of British Vogue, group sessions for the employees of Condé Nast, group sessions for employees of Stella McCartney in their design studio, VIPs at Wilderness Festival and models on set for Stylist magazine. We were also a finalist for ‘Best Gym and Wellness Experience’ at the GQ Grooming Awards 2017 and have been featured in The Huffington Post, Health and Fitness magazine and our G.L.O.W class was crowned “Most Creative New Workout’ by Women’s Fitness. AMCK was founded in 2005 and specialises in providing the highest level of dance professionals in the UK and Europe through AMCK DANCE. In parallel to this, is AMCK MODELS: London’s only exclusively male model agency. AMCK DANCE has been a leading force in professional dancers, choreographers and creative directors for a plethora of major artists, award shows and TV shows internationally and for over a decade.